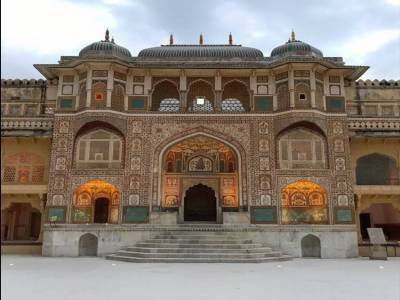 Located on the hilltop in Amber town of Rajasthan in India, Amber Fort is a jewel of Jaipur because of its majesty, amazing architecture and long history. With its large ramparts and cobbled paths, the amber fort overlooks Maota Lake (main source of water for palace). The construction was started sometime in the 17thcentury by the legendary Raja Man Singh. The entire structure took almost 150 years to be built expanded by Raja Jai Singh I and in later by Jaipur’s founder, Sawai Jai Singh II. 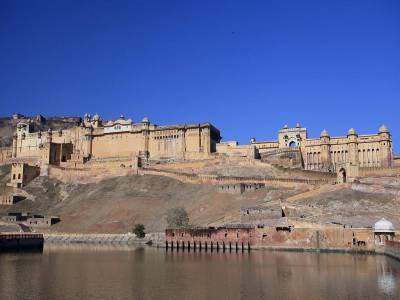 The Amber Fort has been declared as a UNESCO World Heritage Site since 2013. Diwan-e-Aam: Also known as Hall of public audience is a big hall stand on the support of two rows of pillars. The hall is used for the kings multiple meeting with common people, ministers, and guests. Sukh Niwas: Famous for its natural air conditioning, the hall is made with sandalwood and ivory. Because of the small channel that carries cold water, the hall is the kings and queens relaxation point. 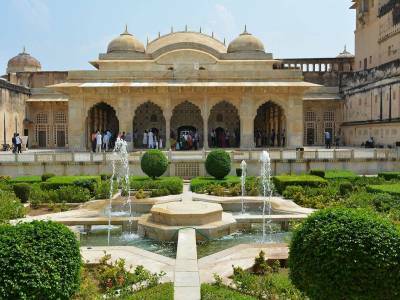 Sheesh Mahal: Refer to Mirror Palace; it is the most famous and enticing part of Amber Fort. The walls and the ceilings are beautifully carved with paintings and flowers made with glass. Kesar Kyarri: Also known as Mughal garden is built in the Persian style of architecture that cannot be compared to simple gardens. The garden is formed in a star shape and located near Maota Lake. 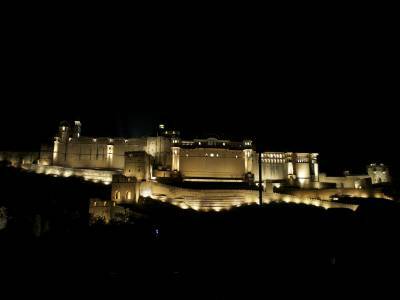 The best time to visit Amber fort is in winters, months ranging from November to March. The Amber Fort is just 11 kilometers away from the Jaipur city and it will take almost 2 - 3 hours to properly see the fort. 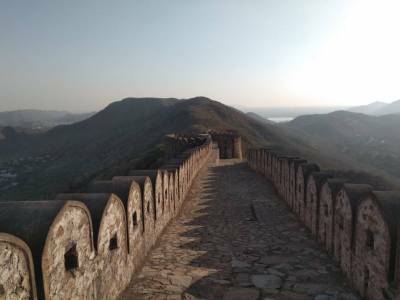 Get quick answers from travelers who visit to Amber Fort.